In What Ways Polyurethane Insulation is Advantageous for Your House? Why do you need to get your house insulated? There could be various reasons for this, as some people get sound proof insulation at their homes, just for the sake of creating a serene environment; however, the main factor for the increasing trend of house insulation in Pakistan, is the acute climatic condition that makes the homes hotter in summer and colder in winters. Another major reason for which the trend of house insulation is gaining popularity across Pakistan is severe energy crisis. Energy shortages for the past few years have put the people in great trouble because not only they have to pay huge electricity bills; rather, they also need to spend a major amount on buying UPS or generators. In the areas, where summers are acute, the energy consumption doubles due to the frequent usage of Air conditioners, Air coolers and fans – ultimately making people, pay high electricity bills. Insulation is not just limited to ‘Houses’ in Pakistan; rather malls, offices, even some of the educational institutes are also getting the buildings insulated so that they could cut down the electricity usage to the maximum. If you are planning to have your home insulated, then Polyurethane Insulation is the best material used by most of the Construction companies in Pakistan. See in what ways choosing this material can be a better option? Polyurethane Insulation is a world-wide accepted insulation material for conducting minimum heat through the walls and roof of your house. 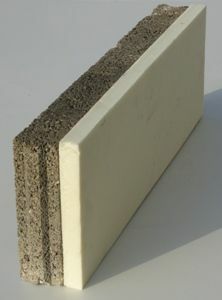 Having a high R-Value, this material makes the walls and roof of your house as cold as the walls of your refrigerator. Thus, dropping your home temperature to a greater extent, the polyurethane insulation cut downs the usage of Air Conditioners and Air Cooler to a large extent, ultimately causing a major drop in the electricity usage. The construction companies in Pakistan these days highly recommend polyurethane insulation for commercial as well as residential buildings. For the people, who want to make their houses resistant against noise as well as severe climatic conditions, the polyurethane spray insulation is the best solution; because, it not only keeps your home cool in summer but also warm in the winters. Having no joints, polyurethane has a strong structural stability that not only makes it absolutely heat resistant but also a lasting insulating material that works for years and years. This is the only insulating material used by architecture companies in Pakistan that sticks to the surface of the roof or walls of your house on its own. You do not need to use a specific gluing material to make it attach with your house walls or roof. Thus, there is no way for water to get in between the insulating material and walls or roof. Unlike typical insulating materials, it does not take days to get fixed into walls and roof of your house; rather, it can be fixed onto your walls and roof surface just in few hours, in few simple steps. Most of the well-known Architecture companies in Pakistan prefer to use polyurethane insulating material for making insulation’s in houses, offices, malls and in other buildings.